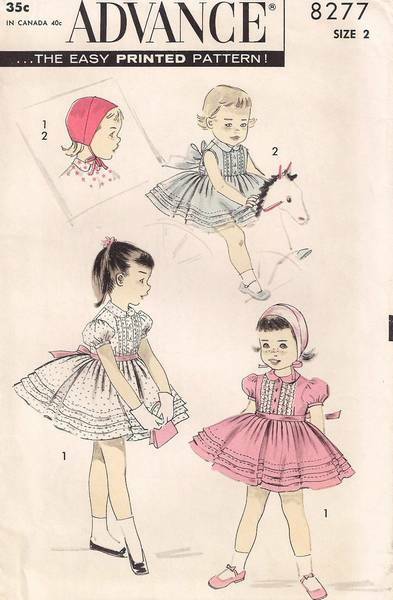 Shirtwaist dress has puffed sleeves, small round collar and back tie sash. Bodice front and skirt hem are tucked with optional lace trim between bodice tuck. Skirt has pleat all around waistline. Sleeveless armhole is bias bound. Size 2; Breast 21; Waist 20. Pattern is used and complete. Envelope and contents are in very good, well preserved condition.